No matter what car manufacturers invent in order to maximize road safety and minimize accident hazards, accidents will still happen as long as humans are in the equation. 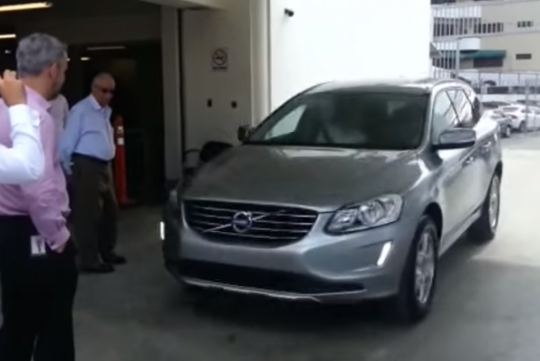 For your info, Volvo does actually have a Pedestrian Detection system which would have worked in the above demo but alas, the XC60 used in the video was not fitted with it. Well, what do you expect of this situation with those involved here?? Never check car, never test, kena banged is just asking for it... typical of these folks.. The driver is actually working for Volkswagen? Never depends 100% of it...my Mazda got the Smart City Braking System,but only know car park barrier work well,don't dare to try on others car or wall. Ouch!! Even the manufacturers would use mannequins to demonstrate, not real people! Can never trust technology too much, still best to be operated by a human.